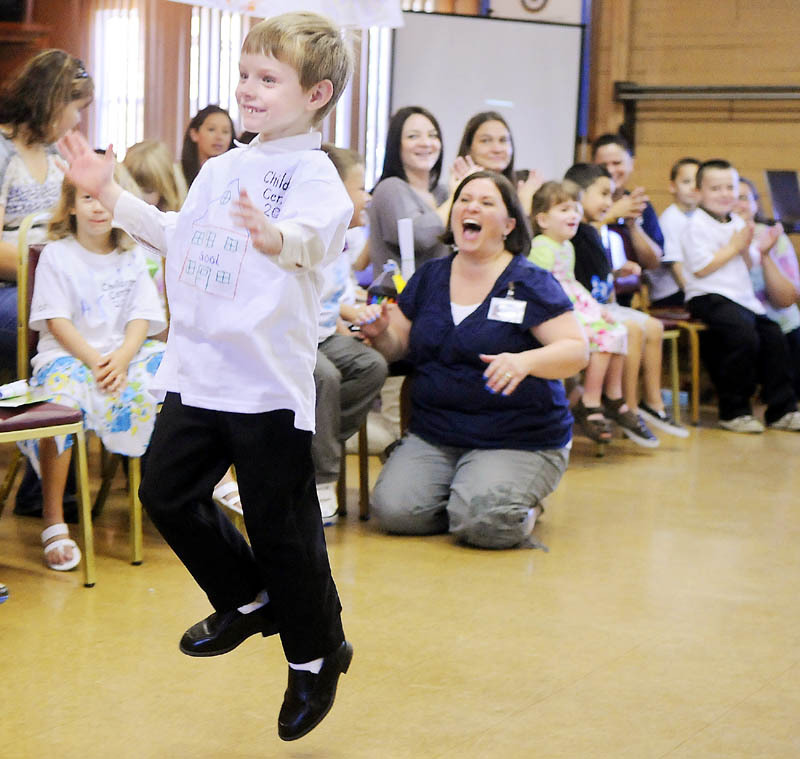 THE SKIPPER: Stephen Ducy, 5, skips on the way to receiving his diploma Monday during graduation ceremonies for 35 students who attended the Children's Center in Augusta. THE SKIPPER: Stephen Ducy, 5, skips on the way to receiving his diploma Monday during graduation ceremonies for 35 students who attended the Children’s Center in Augusta. The 45th graduation recognized kids enrolled in the Center’s pre-school program, which is open to kids possessing typical development skills and those “with diverse abilities and challenges who received specially designed instruction and therapy services,” according to a prepared statement by the Center. Each of the graduating children will go on to further pre-school or attend kindergarten.